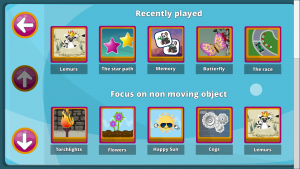 There are many features making game more accessible and more useful for therapists and families! 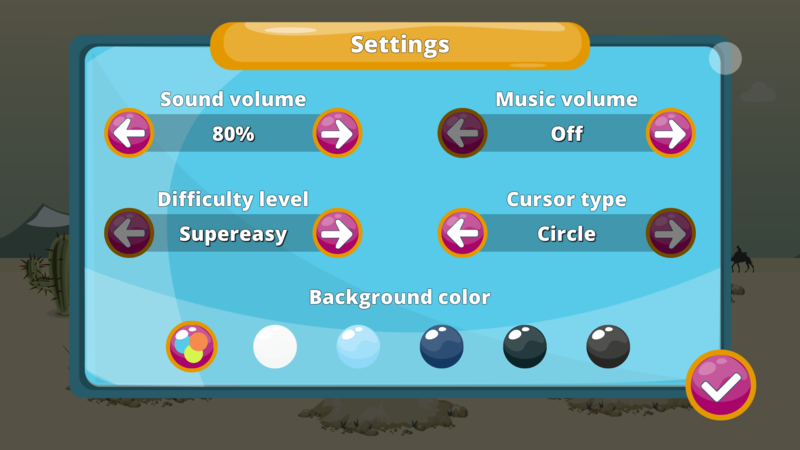 That gives you a possibility to change enemy objects number, speed or scale; change your car speed or change time needed to activate a bomb or an egg. 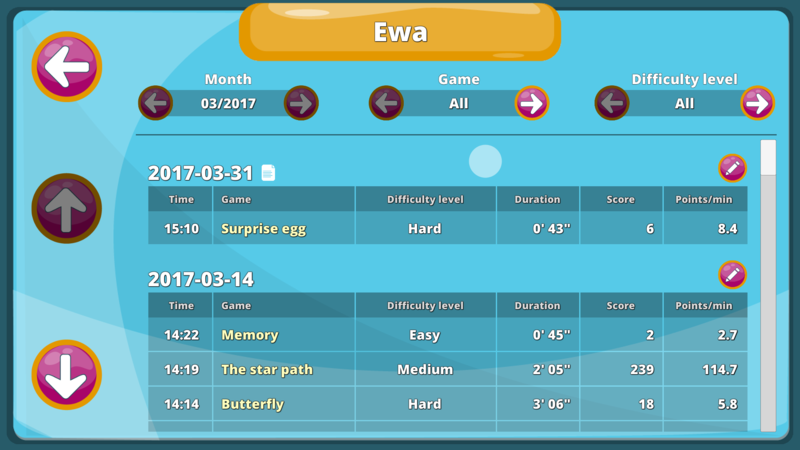 In general, difficulty levels bring a big diversity to games. 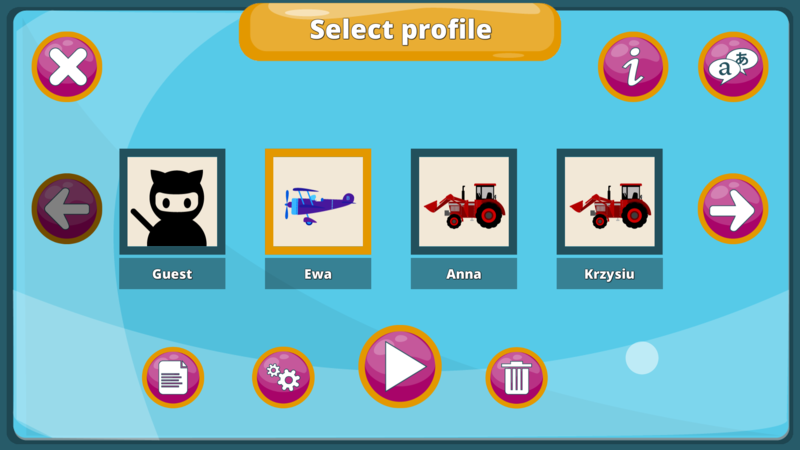 You can choose original, colourful background or select between five uni-coloured backgrounds. 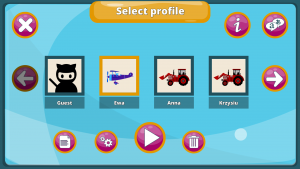 You can choose presence of a crosshair, circle or a red dot which will indicate the point at which the child is currently looking at. 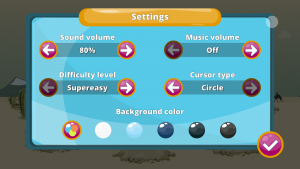 You can set a volume level of music and sounds or turn them off completely. 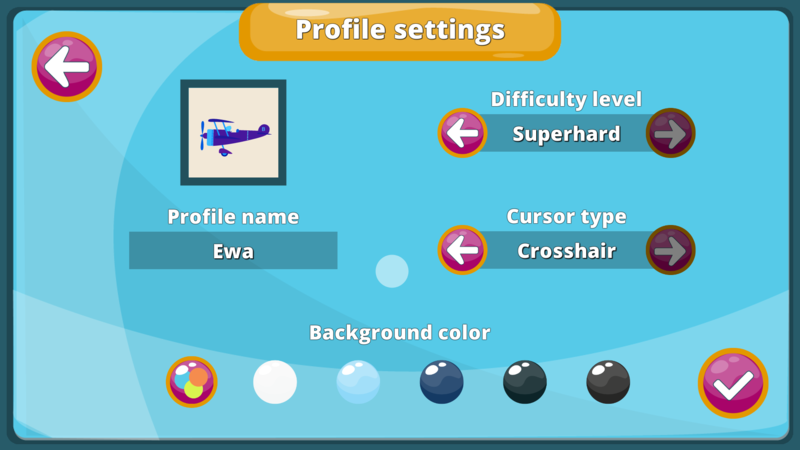 You can create a profile for every person who is using the eyetracker. 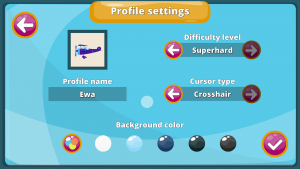 Game settings and playing records are saved within a profile. 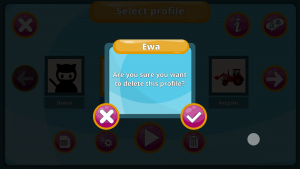 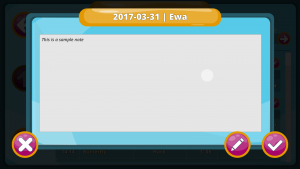 If you do not want to create a new profile you can use a guest profile. 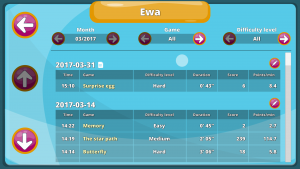 You can view all results, points and playing time in a special report section. Each record is assigned to the profile. 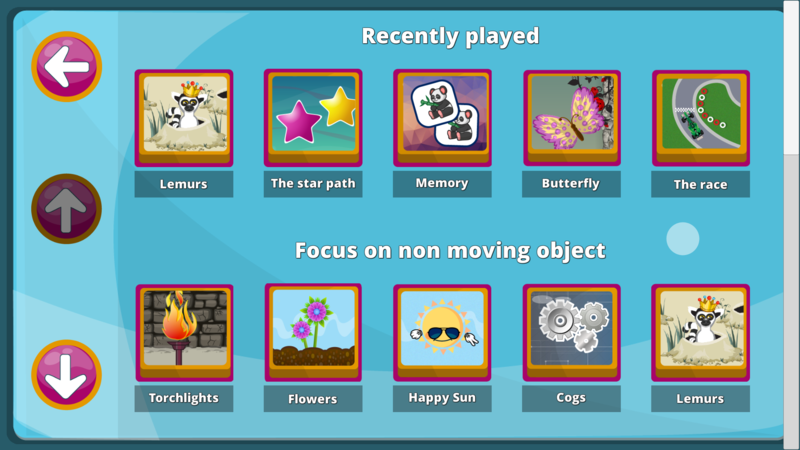 It gives you a possibility to analyze your child’s behaviors and progress. You can also leave a note, just in case if you need to write down something important. 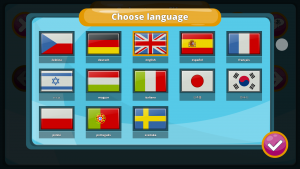 You can choose between following languages: english, german, french, spanish, italian, swedish, portuguese, hungarian, polish, czech, korean, japanese and hebrew. But the game interface is so easy to use that not-knowing a language is not excluding. 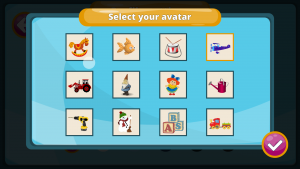 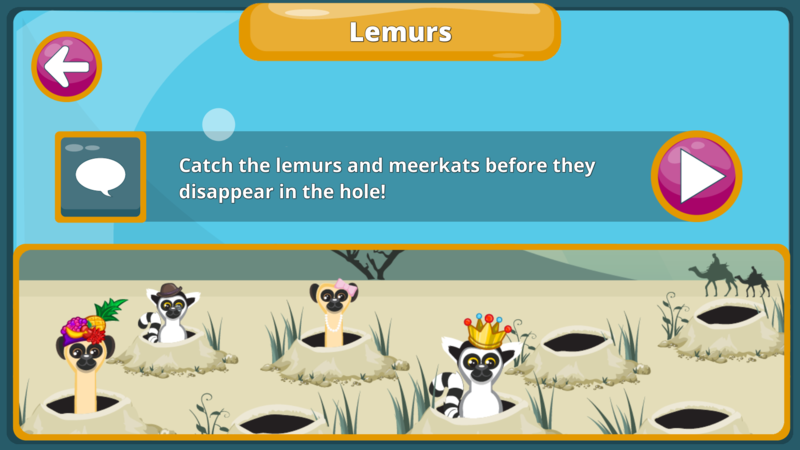 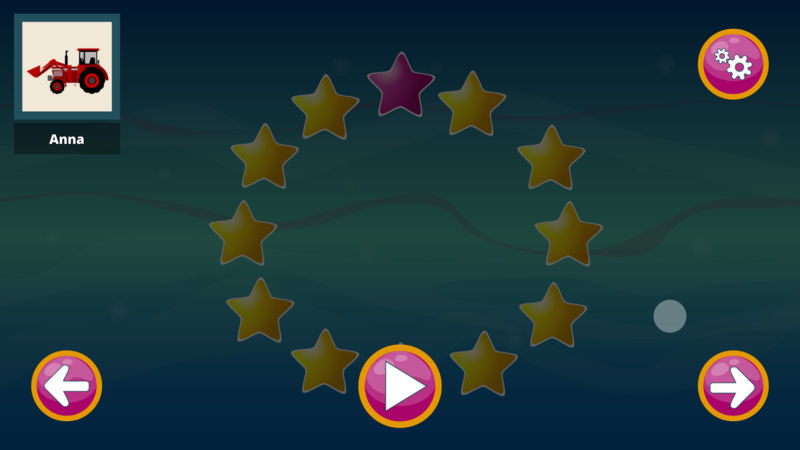 Every game has its own icon and picture so it is easy for children to quickly find a favourite game.